thought my daughter's post today was interesting so I got her permission to re-post it here. 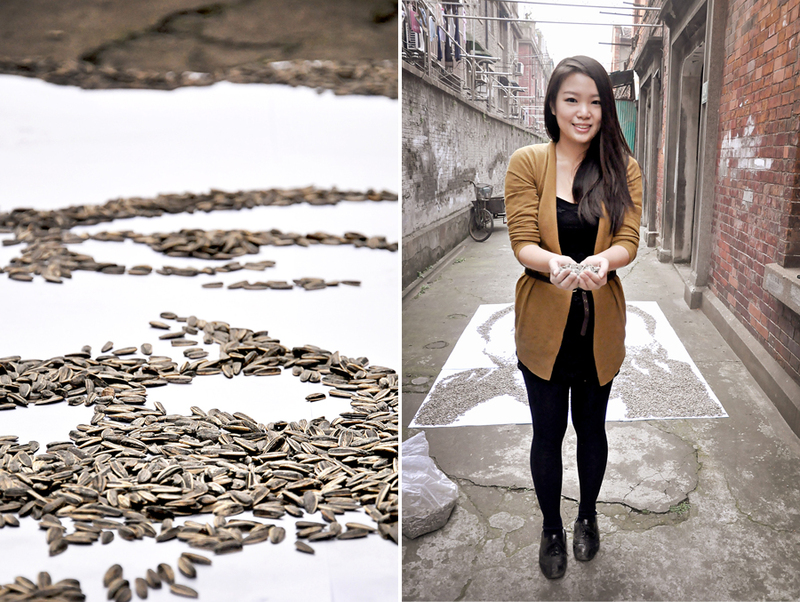 She's working in shanghai and loving it. 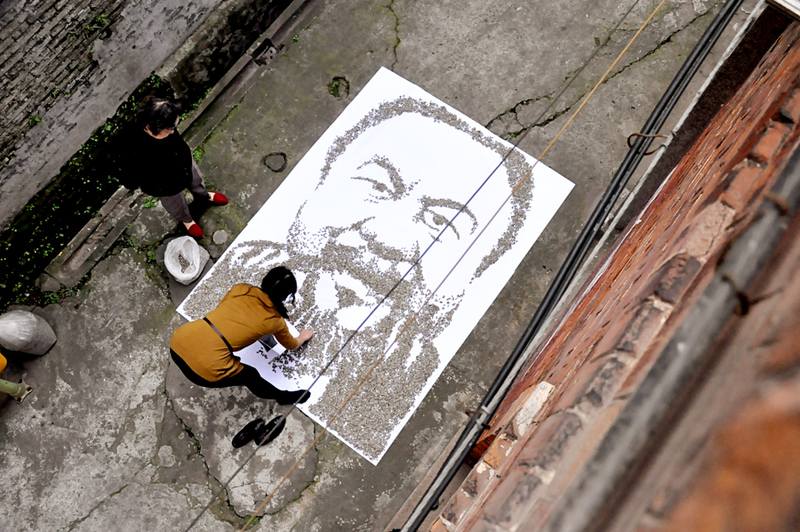 If you've been following the news lately or are working in a creative industry, you cannot NOT know who Ai Weiwei is! He's a total headline grabber - some days I'd walk into the office and my colleagues come up to me even before they say good morning and report to me that Ai Weiwei's in the news. Again. 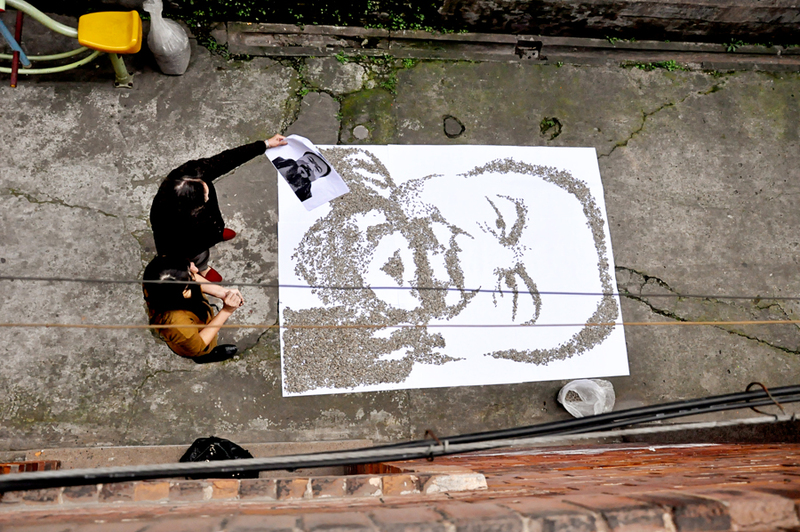 Weiwei was recently named Artview's most powerful person in the art world and is also in TIME magazine's Top 100 people of 2011, which is why I was really surprised when friends back in Australia only gave a 'huh?' response when I rambled on about his recent issues with the Communist Party of China. And when I accused them for living under a rock, the response was, "Hah...you're becoming too Chinese...who knows what's going on there?!" SIGH! That seems to be what everyone's been telling me when I go on about stuff going on around here! 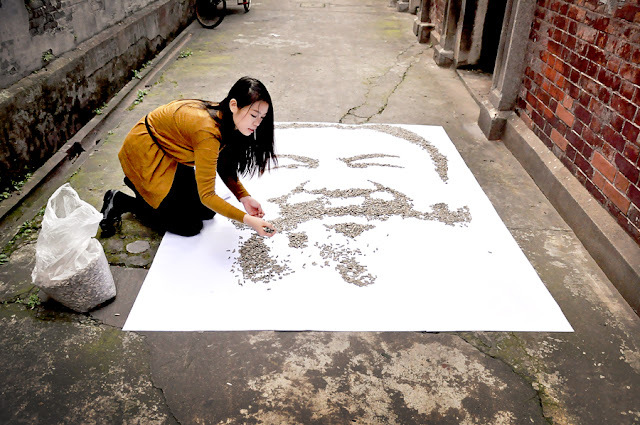 Weiwei is an artist, photographer and curator, best known for designing the Beijing Olympics Bird's Nest Stadium, a collaboration with Swiss starchitects Herzog and DeMeuron. One of his most controversial works, "Dropping the Urn", shows photos of Weiwei nonchalantly dropping a priceless Han Dynasty urn. I'm not sure how you'd intepret it, but when asked, Weiwei said he did this on a whim, 'to show how gravity works'. Whoa. An apple would've been cheaper. I can't help but wonder how he was like as a kid. His poor mother! 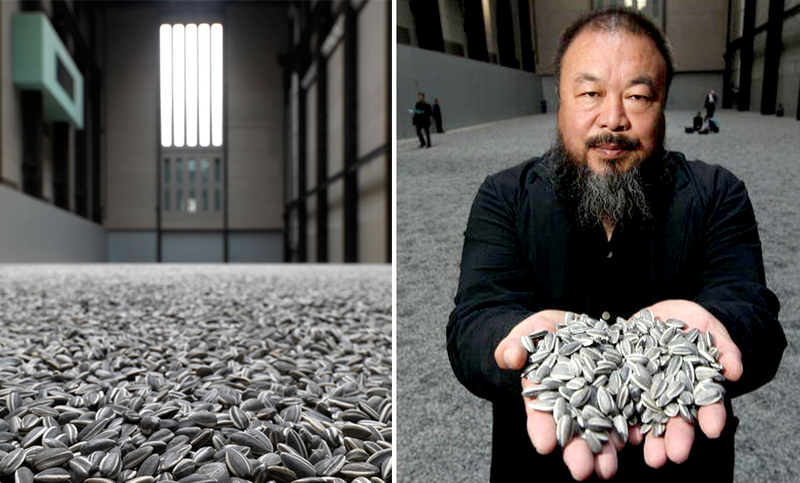 Another famous piece by Weiwei was his installation in the Tate Museum in London in 2010, 'Sunflower Seeds'. At first glance it doesn't look like much - but take a closer look and you might notice that these are not actual seeds; they are hand-painted replicas made of porcelain. Weiwei gathered 1,600 people to to individually hand-make one hundred million seeds, to speak about the mass-production, 'Made in China' phenomenon taking place today. My curious neighbours came over to check out what I was up to! 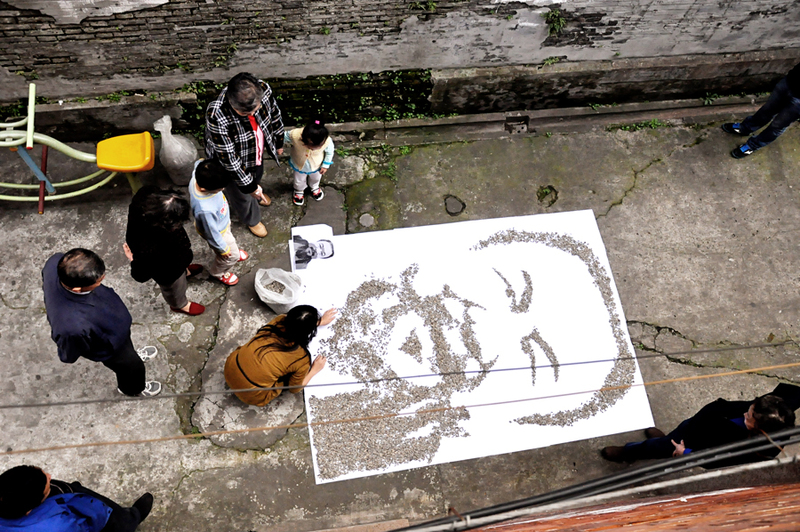 ...and more curious people gathered around! Eventually, someone said, 'Hey! 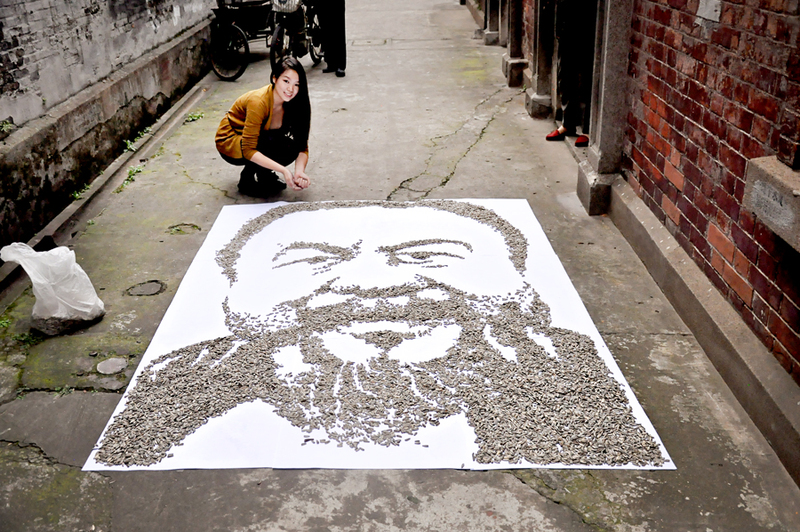 That's that Beijing artist...Ai Weiwei!' WHEW! At least someone could tell! 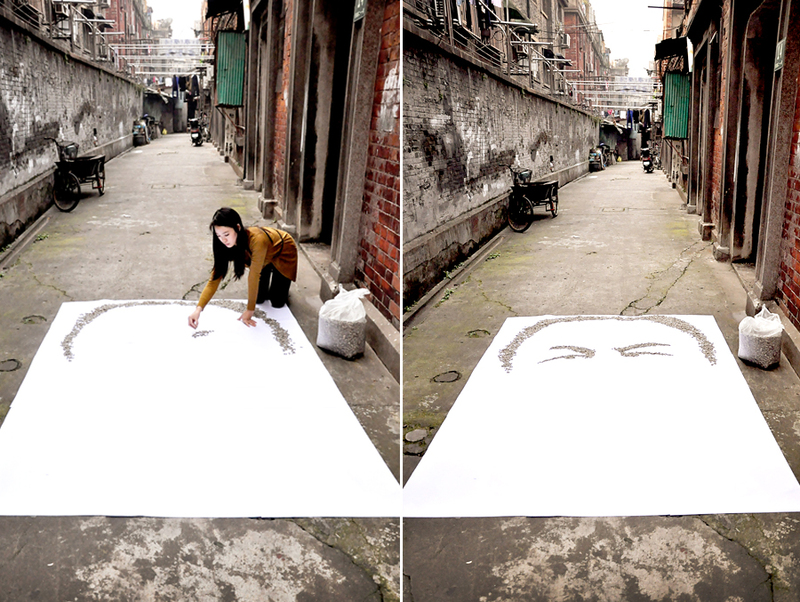 She awesome, really admire her talent. How many hours did she take to do that? She's so talented and beautiful and I'm betting that she'll be very famous one day! Your daughter is into art ? WOW! Like mother like daughter, so talented and pretty. My goodness, Terri. 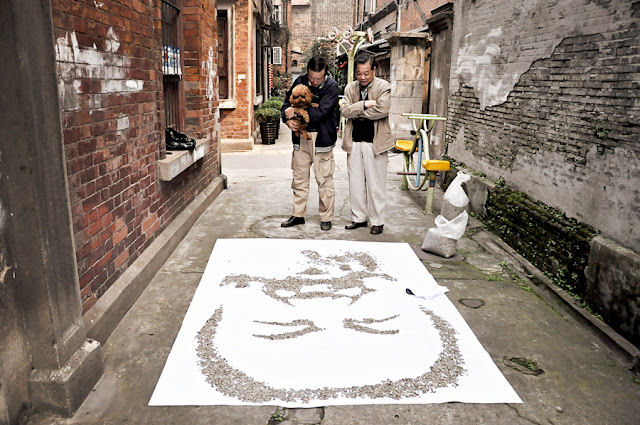 Hong Yi is not only absolutely gorgeous and chic, she's incredibly talented. No wonder she was pursued by so many firms. You must be a proud mama! I love Hong Yis street arts! 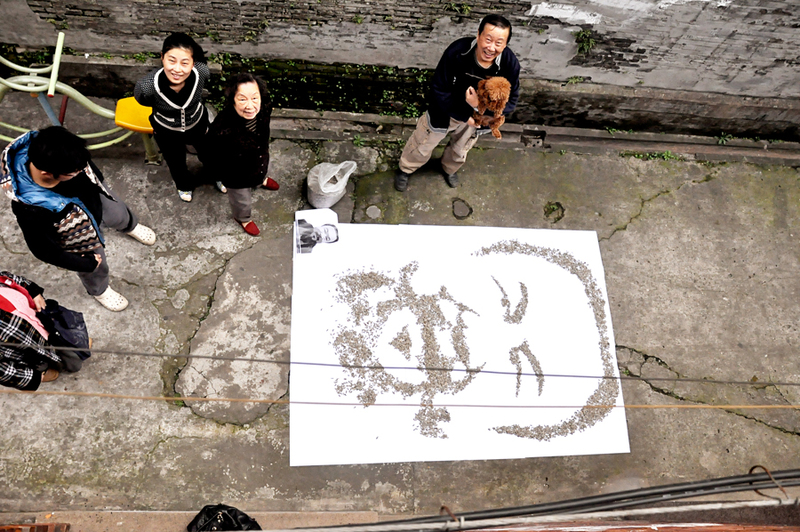 Hong Yi represents everything a mom wish for her daughter. You must be so lucky and proud, Terri! OMG - that was amazing, she is so talented! I seriously had no clue who this guy was but I will def. 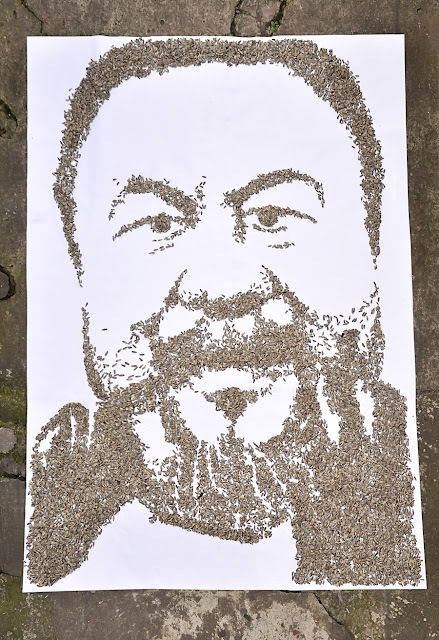 have to read up more on him. Wow! Terri! Or should I say, wow! Yi! She has blossomed into quite a beauty and in her talents! You must be one proud mama! U must b really proud of her, i was at awe when i first saw this in her post and I can't help but agree that she'll be very famous one day. Now she is truly a beauty w brains. You must be so proud of your daughter. I went over to her blog and enjoyed her street art projects. Your daughter is so talented. You are so blessed. hehe thanks everyone, i'm blushing non-stop! I have been following her blog and a just bowled over by her talent, ingenuity and gorgeousness. Also so stylish and perfectly put together all the time. She's also respectful and such a good hearted person. A perfectly accomplished young lady. Brilliant. I had to read this twice, thought that you had picked someone to do a guest post. Missed the part about her being your daughter.